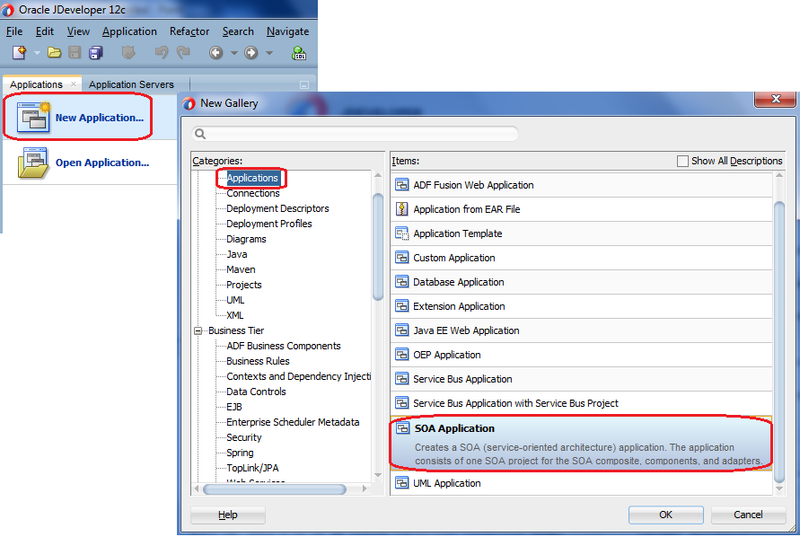 In my previouspost, I showed the steps to install Oracle SOA 12c on window 7 machine. 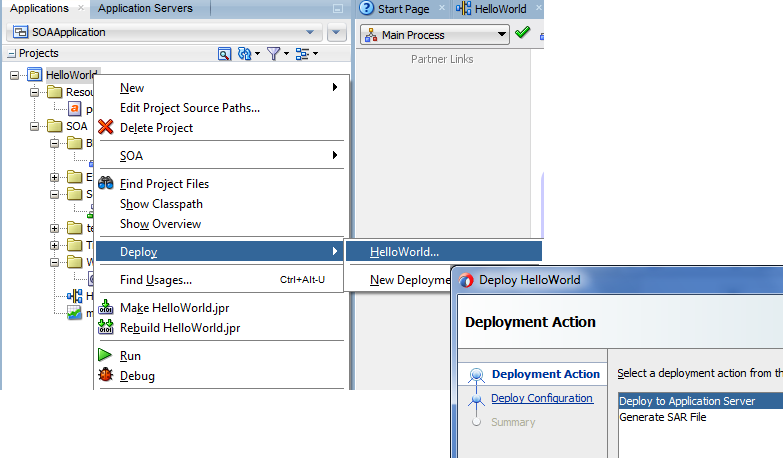 In this post, we get started with Oracle SOA 12c with HelloWorld sample. Make sure you have configured default domain and started the server. 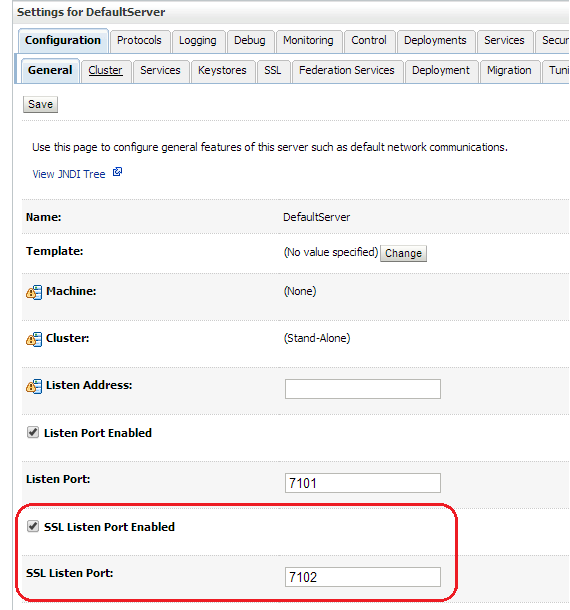 Refer my previous post to see how to configure default domain. Let’s get started with the sample. 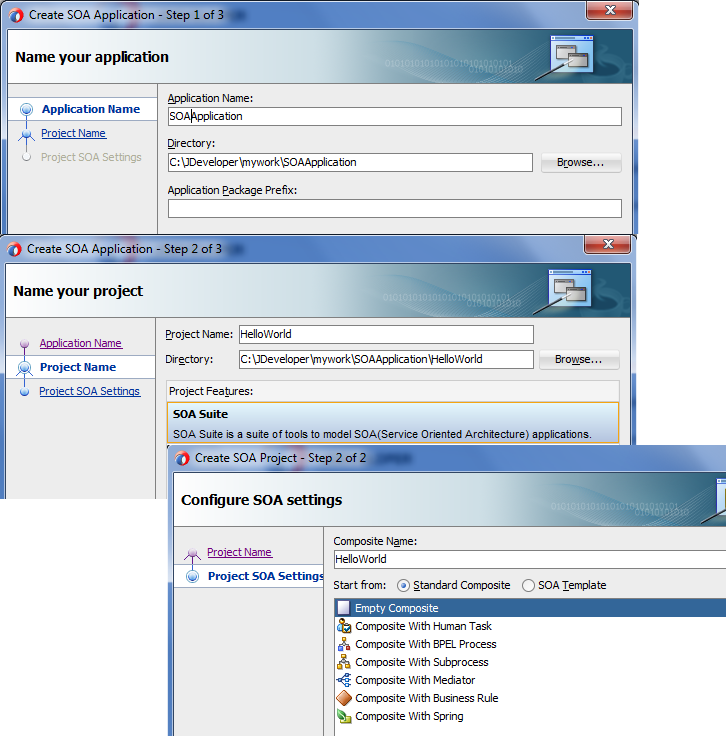 First create a new SOA application, if you are not able to see SOA Application then first you need to install Extension SDK in Jdeveloper as mentioned in previous post. 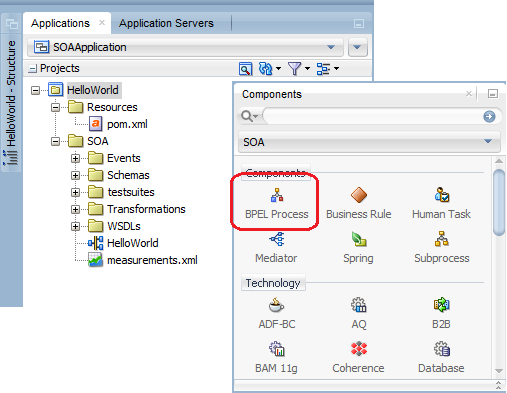 Name your SOA application and BPEL process. We choose standard composite as we are not creating this composite from any template. 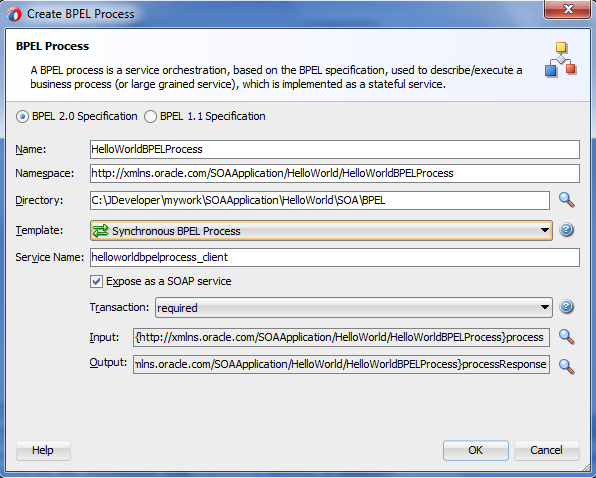 Once you create the composite, Drag BPEL process to it. 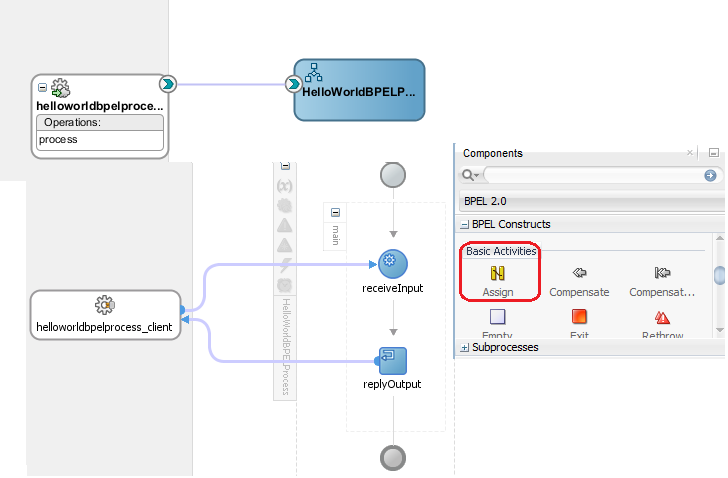 Add synchronous BPEL to the empty composite. Add assign activity which simple assign request to response. Now deploy your composite to integrated server. Right click on the composite to test it. 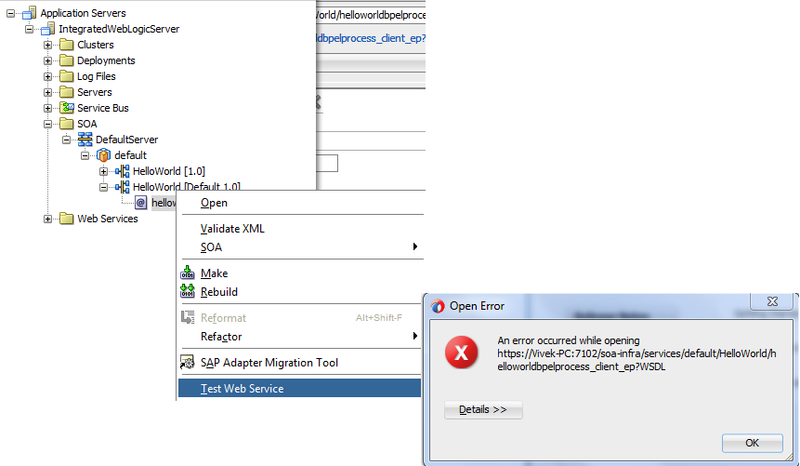 You may face below error when you try to test it. Un-check “SSL Listen Port Enable” and restart the server. Now test again your composite. 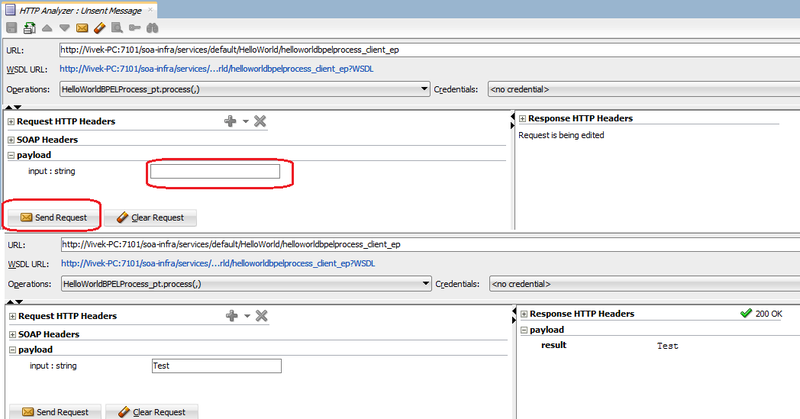 You see it will open HTTP Analyzer and we can test the composite from here only. We need not to open EM console and test it from there. Provide input value and you see response. Thanks for uploading this. This gives good start of 12c. You need to restart your server and try again deploying.